Sean provides a range of accounting services to JDJ clients, including bill paying and expense reporting, bank account reconciliations, and budget-to-actual reporting. He delivers outstanding service to clients, advisors, and team members. Sean is thorough, conscientious, and diligent, and his personable nature makes him a pleasure to work with. 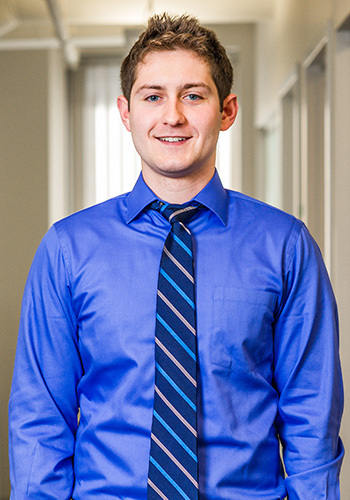 Before joining JDJ, Sean was an accountant for Major League Lacrosse, where he was responsible for recording and analyzing income, expenses, assets, and liabilities for several of the league’s teams. Sean handled accounts payable and accounts receivable, ensuring each team remained current with its customers and vendors. In addition, Sean helped manage the league’s online merchandise sales and distribution. Sean’s responsibilities also included coordinating travel logistics and accommodations for two teams in both their home and away markets. Sean holds a Bachelor of Business Administration in Finance from the University of South Carolina’s Moore School of Business.